Whenever our family goes on vacation, the temptation of eating out at every fast food joint and other crap while on holiday is so tempting! I mean given the fact that I am pregnant and craving so much, I am so tempted to devour a load of Chicken McNuggets and the tasty but very unhealthy McDonald’s fries. Especially while I am on holiday, but I stop and remember a very important thing. Whether I am home or on holiday, I have to keep up with my clean eating regimen. Firstly, I want to stay healthy and be around for a long time for my husband, my son and the new arrival on the way. Secondly, I want to instill good eating habits into my son’s psyche, and the same goes for the new one on the way! I want my husband around for a long time too so this way he will be encouraged to eat clean if I am being a great example for him. Even though there is nothing wrong with enjoying a treat every now and then (and I encourage it because deprivation only hinders, not helps), I want to stick to clean eating regardless of whether I am on holiday or not. 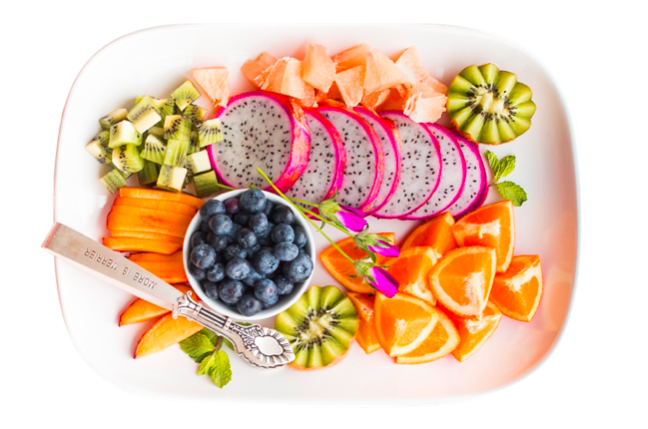 If you are looking into eating clean all the time regardless of what day it is, or where you are or what is happening in your life- the shift from eating whatever is convenient to eating completely healthy doesn’t have to be so difficult with the proper tips, tricks and planning. So if you want to not go crazy and eat junk while you are on vacation with your family, young or not- I have an idea for you. While you are planning your trip, be sure to include healthy foods to bring on board. Examples are: protein bars, oatmeal, cocoa roasted almonds, apples, squeezable applesauce, protein powder (for yourself), water and seltzer water. Those snacks will tie you over whether you are traveling by car or plane. Be sure to create a meal plan for each day you are on vacation too! As soon as you end up at your destination, remember that most accommodations have a fridge and microwave, and even oven in one room. Be sure of that before booking anything beforehand. Go to the grocery store after settling and get some fruits, veggies, and other healthy snacks. Now there is nothing wrong with eating out because when you are on holiday you can certainly eat out sometimes (for health and budget reasons) but look at the healthiest options on the menu. For instance, instead of going for a burger and fries, go for grilled chicken with veggies. Another tip is to avoid the unhealthy breakfast choices that are served in hotels such as sausages, pancakes, fried eggs, and so on. Instead, have oatmeal, fruit and a whole grain bagel is the much better and healthier option. Another reason you will want to eat clean is if you do want to have a cheat night where you want to enjoy a yummy dessert like a chocolate sundae- you certainly can! But if you don’t eat clean for the rest of the day, that cheat night will not seem so special, and you will be left feeling gross all day from eating crap which will take the enjoyment out of having that treat. Now you see how it is important to stick to a healthy eating regimen while at home or away on holidays. You will stick to healthy eating habits no matter what, and enjoy those special rare cheat moments- that will not affect you at all if you keep it rare. So therefore, if you are going away and looking for healthy eating ideas, now you have them- and have a healthy and happy vacation!